This version of the Fusion is officially retired.You've found a page of history! The Fusion is no longer produced by Black Diamond and it is not available to buy from major online retailers. You can still check out all the specs and claim your ownership. Our premier mixed climbing tool with a hydroformed aluminum shaft, the Fusion is incredibly stiff, lightweight and versatile. 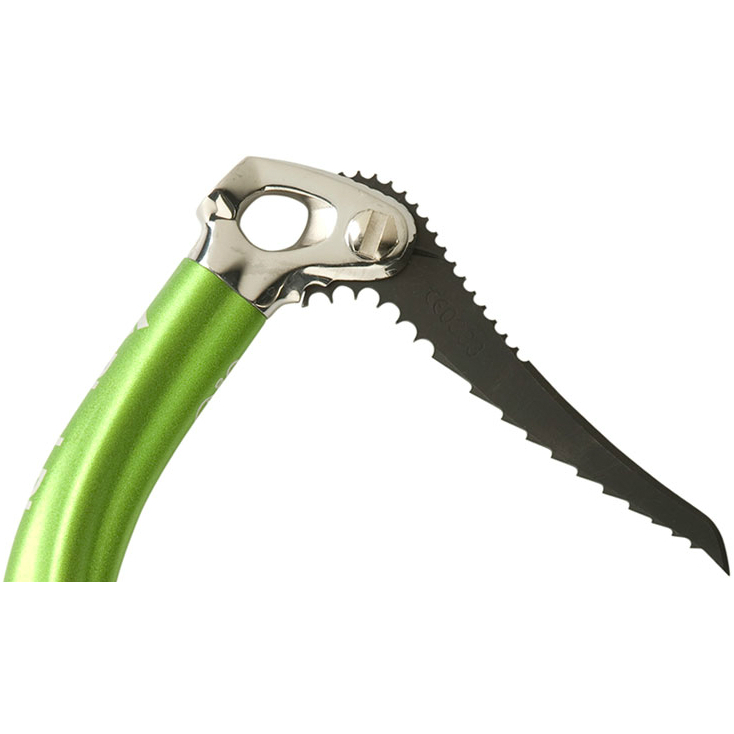 Our premier mixed tool for modern, leashless winter climbing, the Fusion performs like no other tool ever made thanks to the combination of its radical design and single-piece hydroformed shaft and acute hand-to-pick angle. Incredibly lightweight, stiff and versatile, its top-of-the-line technology shines through in real world, game-changing performance on both rock and ice. Lightweight hydroformed shaft extends through the grip for improved feel and rigidity. One-piece single-bolt head is compatible with all current Black Diamond picks. Patented, adjustable over-molded grip accommodates most hand sizes and heavier gloves. Shaft and pick are CEN-T certified. 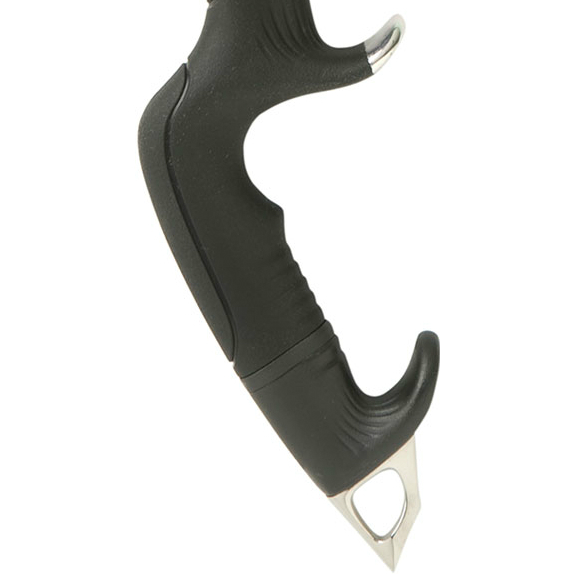 For hooking, on rock or ice, the primary and secondary grips keep the pull on the pick constant. grab the secondary grip and the tool won't shift on its placement. On ice, I used the thin Laser pick and by the second outing had the swing dialed and was able to easily get good sticks even in sub-zero ice. 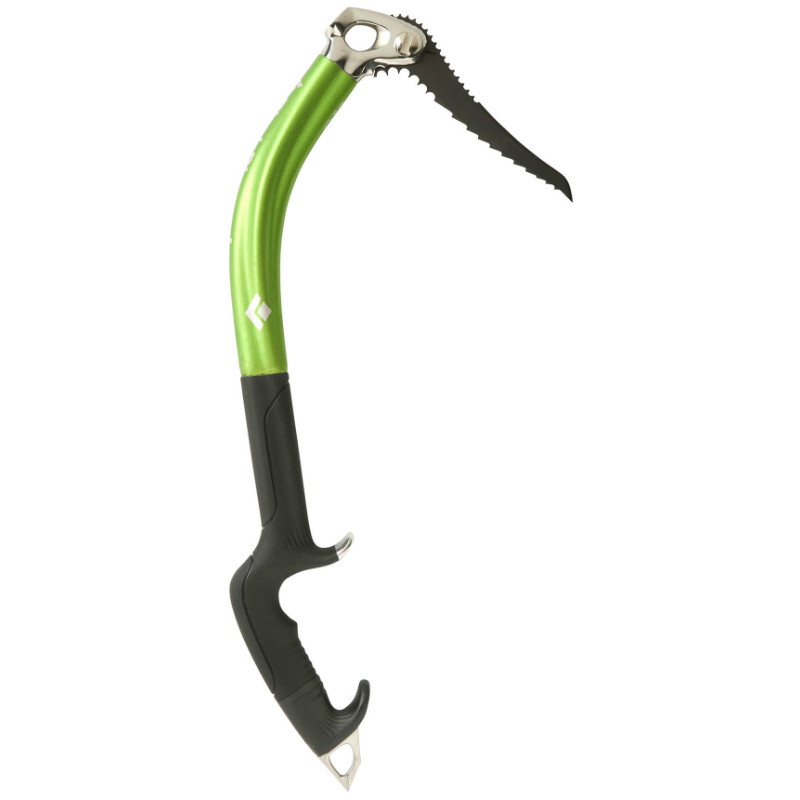 For pillar ice where I might want a leashless tool, I'd choose the Fusion over the BD Cobra because the Fusion is the easier of the two to hold onto, and for modern mixed (largely dry tooling) it's the new Fusion all the way. I like this tool, but deducted a star and gave it four instead of five because the grip isn't as sticky as I'd like, and the main pommel is slick and can skate when it is pressed against the rock. There are time, too, when I wish for a third, higher pinky rest, such as the one on the Petzl Ergo. How to use Black Diamond ice tool and ice axe correctly, warnings, care, maintenance, transportation, inspection, lifespan and retirement with instructional pictures. Note: This is page two of document for instruction in foreign languages, page one has English instruction. 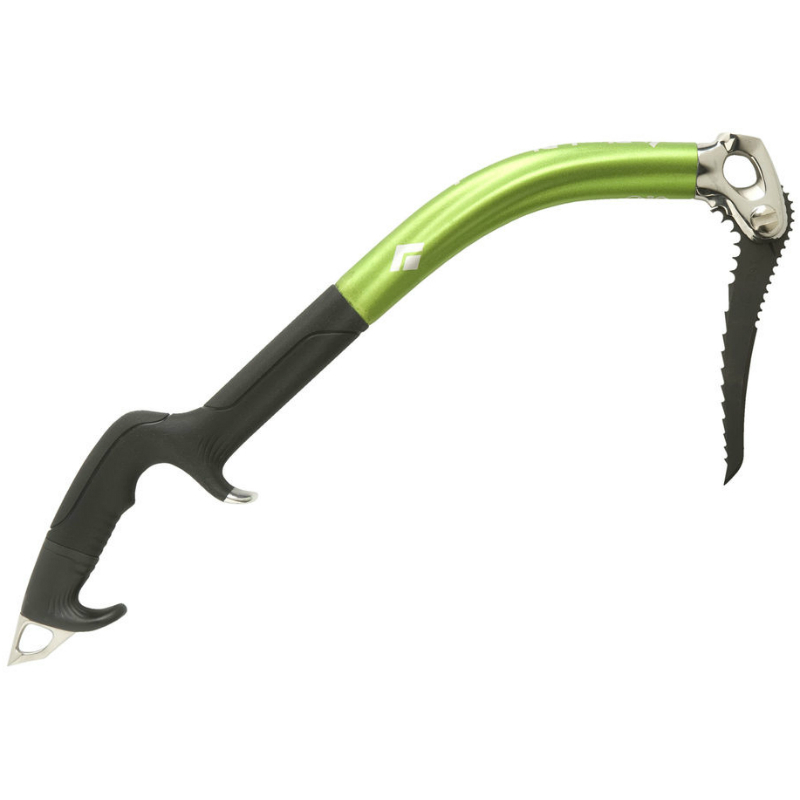 How to use Black Diamond ice tool and ice axe correctly, warnings, care, maintenance, transportation, inspection, lifespan and retirement with instructional pictures. Note: This is page one of document for English instruction, page two has instruction in other languages.